We’re down to the final week of the season, man did it fly by this year! Playoff pictures are pretty much set, which makes this last week a bit anti-climactic, but nonetheless it’s been another fun season. For the 2nd straight year, I’ve been stuck watching a Vikings game when I would have preferred something else, only to be in the middle of an awesome game! Last year it was the Ravens game where there were 5 TD’s in a little over 2 minutes. Sunday’s Dolphins game showed 31 points combined scored in the first 3 quarters, and 41 scored in the 4th alone! At one point the Vikings scored 15 points in 11 seconds, and the Dolphins scored their final 9 points in 30 seconds. Actually, the Jets and Lions games the last two weeks have also been very close as well, not too bad to be stuck in Viking territory if I do say so myself. Three weeks ago, the Chargers scored 21 pts in the 4th Quarter against Baltimore to pull off a pretty epic comeback. Saturday they did it again! 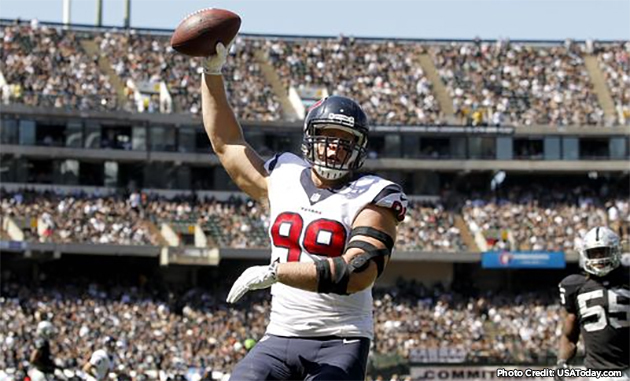 In the 2nd half, they outscored the 49ers 31-7. This could be a very scary team to face in the playoffs, because there’s nothing worse than taking a sizeable lead, and taking the foot off the gas just to end up losing the game in the end. The Chargers are currently #6, and they control their own destiny, win and they’re in. The Colts vs Cowboys was a bit of a letdown. Think I was expecting a Super Bowl caliber matchup. Eagles also screwed up. They had the #2 overall seed at 9-3, but 3 weeks later they have also been eliminated. For the second consecutive season, Miami scored the winning points in a game on a safety. Seattle seems like a cop-out pick since they’re the #1 overall seed and the defending champions, but keep in mind that 4 weeks ago they were outside of the playoff picture and needing to jump 3 teams to even hope for a Wildcard spot. Pittsburgh is another team I wouldn’t want to face, having twice put up 21+ points in a 3 minute span. Dallas is another team that has quality wins and is still 7-0 on the road. So much for a December meltdown, they’re 3-0 this month. Finally I would hate a matchup against New England. They’re on a 10-1 run, and have beaten 5 of the current playoff teams in that run. Inevitably there are also teams that limped into the playoffs. The Cardinals haven’t scored a TD in 2 games and they are starting their 4th QB this week. I have the Colts on this list, although I was surprised to see they are 4-1 in their last 5 games. But I did catch most of the Cowboys game and they weren’t themselves. You can chalk it up to already clinching and not having much to play for, but I’m not as high on them this year. I have the Lions on this list, and was even more surprised to see them on a 4 game win streak and despite being above the Packers currently! However they’ve scored more than 20 in only 6 games. Whoever wins the NFC South, this is a given, but both teams have pretty bad losses (ATL to Bears, Giants, Vikings, Browns: CAR to Falcons and Vikings). The NFC is basically locked with 5 of the 6 teams clinching already. The only question is who will be in for the NFC South, and a chance for the Lions and Packers to switch spots. The AFC has a few more options, but not much. 5 of the teams have clinched their spots, with the AFC North division up for grabs, and 1 Wild Card in the air but basically between the Chargers and Ravens. It’s funny how 1 week can completely shape the playoff picture into what we will most likely see going forward. Coming into the week, there were about 11 teams on the outside who still had a shot at making the playoffs. That number got slashed to maybe 5 who still have an outside shot but need help. There is still some shifting that could happen (Packers moved from #2 to #6 while the Cowboys jumped from #7 to #3). Wow, Sunday night’s division showdown between the Cowboys and Eagles turned into the game of the week! Dallas got out to a quick 21-0 lead after a botched opening kickoff, and it looked like a snoozer 20 minutes into the game. All of a sudden the Eagles rattled off 24 unanswered points to take the lead! You could already hear the reporters talking about another December meltdown by the Cowboys. 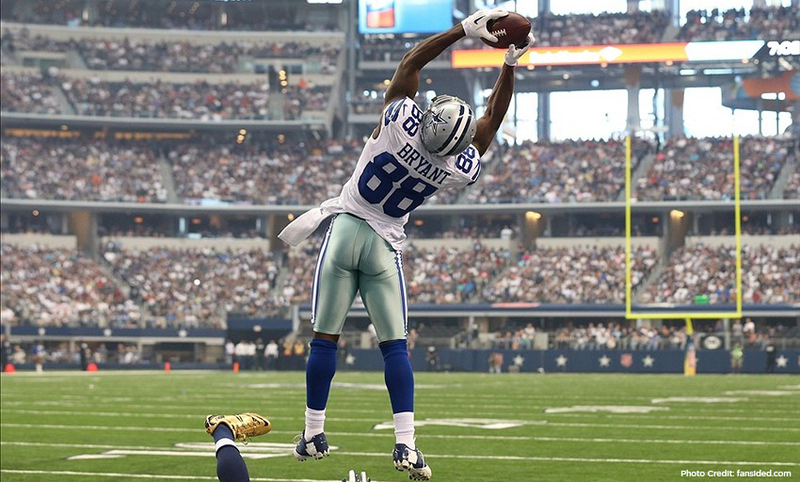 But Dez Bryant stepped up and reeled in his 3rd TD of the game. It’s always a little surprising to see a top-tier quarterback completely struggle on the field, and we saw that with Aaron Rodgers on Sunday. The Bills D had a dash of Kryptonite by the name of Bacarri Rambo, which is an awesome name by the way. On one drive, Eddie Lacy ripped off like 60 yards on 3 runs, which seemed to be the Bills weakness. Yet the Packers only gave it to him 15 times while rattling off 42 passing attempts. If something is working, stick with it! It’s not like they were out of the game until the very end. I’ve talked about it year after year, but getting Andrew Luck the ball with less than 3 minutes left is almost starting to be a guaranteed win. On Sunday he was facing a defense that had already caused 2 turnovers for TD’s and had rattled Luck all day. Sure enough he drove them down for the game winning TD. Ironically enough when you watch the Hilton score, they were trying to run a pick play with Reggie Wayne, but Hilton and Wayne ran into each other instead. Despite the broken play, Luck connected and continued to cement himself as the QB of this generation. The Patriots Chargers game turned out to be a pretty decent matchup. To me the turning point of the game was when Mike Scifres went out with an injury. Who? Yes, the San Diego punter. Soon after their kicker was in and punting 30 yards each time. Field position is important in any NFL game, but especially this one. It was surprising to see how big an impact a punter could have on the game. Rob Gronkowski became the first TE ever with 10+ TDs in 3 straight seasons. Troll- “To purposely make statements with the intent of starting an argument; typically used on the internet.“ There have been 3 awesome instances of trolling this year, which is a passive aggressive way to make somebody extremely uncomfortable while not necessarily doing/saying anything offensive. #1 Troll of the Year: When the Rams played the Redskins on Sunday, they had “honorary captains” go out for the cointoss. Jeff Fisher sent out all 6 players the Rams received in exchange for the #2 overall draft pick used on Robert Griffin III. Five of which are now starters for the team while Griffin isn’t starting and is likely to be considered a bust. Way to rub it in their faces! #2 Troll of the Year: Bengals head coach Marvin Lewis was in a bit of hot water this week when he made a comment regarding how they would prepare for Cleveland. Lewis essentially said that “you scheme for an offense, not a particular player, especially when that player is a midget.” Ironically, the next day he apologized to Johnny Manziel instead of the insensitive comment he made (who doesn’t watch “Little People, Big World” seriously). Apparently he didn’t know they denounced the word “Midget” as being offensive years ago, but I digress. Love, love, LOVE the fact that a Cleveland news station sent in a little person to interview Lewis the following day and ask him 2 questions about the game! I wish the guy would have stood up for that part, but either way I’m sure Lewis was feeling pretty sheepish after that one. #3 Troll of the Year: A few weeks back when Aaron Rodgers came into Minnesota and won a few weeks ago, he brought in a can of “Purple Crush” and took a sip before answering questions. Rodgers has the honorary #4 Troll of the year as well, when on his radio show he explained that he did his Discount Double-Check dance after a TD pass to show people that you can celebrate without getting injured. As people may know, I write most of FMQB during the week and maybe a tweak or here there on Friday morning. The only downside is that the Thursday night game has seemingly busted a thought of mine most weeks this year. Here was mine before last night, granted I am now disappointed: If the Rams win out, and the Cowboys, Lions and Seahawks lose out, they’re in the playoffs!!! The last time they still had a shot in week 15 was 2009, but more likely 2004. In the seemingly never-ending saga on which team doesn’t want to win the NFC South, every team lost except the 3rd place team, and they somebody HAD to win that game. The Falcons seem to be in the lead by default, even after having a 5 game losing streak earlier on. I had to watch the game on Monday night due to fantasy football reasons, but I’m glad I did. The Falcons put up a hell of a fight on Monday, against arguably the best team in the league in their home stadium. After watching that game, the Falcons deserve to win the South, but as of now a .500 or worse team will win the division. Welcome on all the playoff seeding arguments. 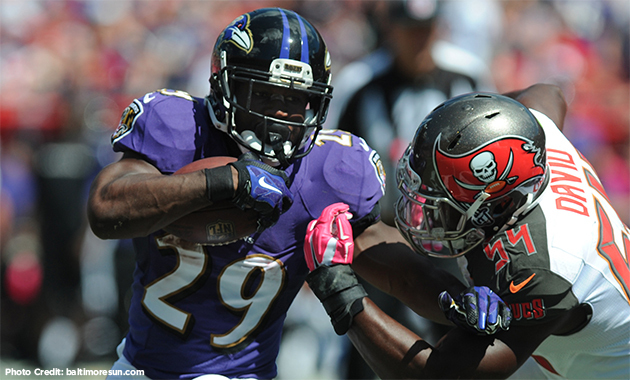 Quick props to Justin Forsett, I’m happy to see a good guy get some success. Since being drafted in 2008, he’s played for 6 different teams always as a backup. He finally got a shot this year after the Ray Rice incident, and has shown that not only could he handle the job, but he could beat almost every other running back in the league! May be a little too late (he’s 29), but good for you. It’s something the media has been waiting for for nearly 2 years, but Johnny Manziel is finally starting in the NFL! The Browns seem out of it, but not according to ESPN’s Playoff Machine! If the Browns win out, they actually have a legitimate shot at winning their division, let alone a WildCard spot. The rest of the division has very loseable games. I would say I’m somewhat surprised in the move to start Johnny Manziel, but agree with the switch unlike I did last week. Hoyer has been playing dreadfully bad, losing 3 of 4 and throwing 1 TD in his last 5 games (vs 8 INTs). That’s a big enough sample size make a change in my opinion. Another rag-tag post here, as yours truly was basking in the Caribbean sun over this past weekend. It was funny how parts of the resort was sparse, but on Sunday everybody was crowded around the sole bar that had a TV with American Football on it. Nevertheless, this is kind of an outside perspective of what happened in Week 13. It’s that time of year for my favorite website, the ESPN Playoff Machine! Here you get to pick the last 4 weeks of the year, and see how the playoff landscape plays out. Here’s what I like about it: Pick the games with how you think they’ll play out, without looking at the seeds below. Once you’re done with Week 17, a few surprises emerge. With a lot of close battles, here is what FMQB has.